Happy Flash Friday everyone! Last week I said I had found my Flash Mopeez while running errands. 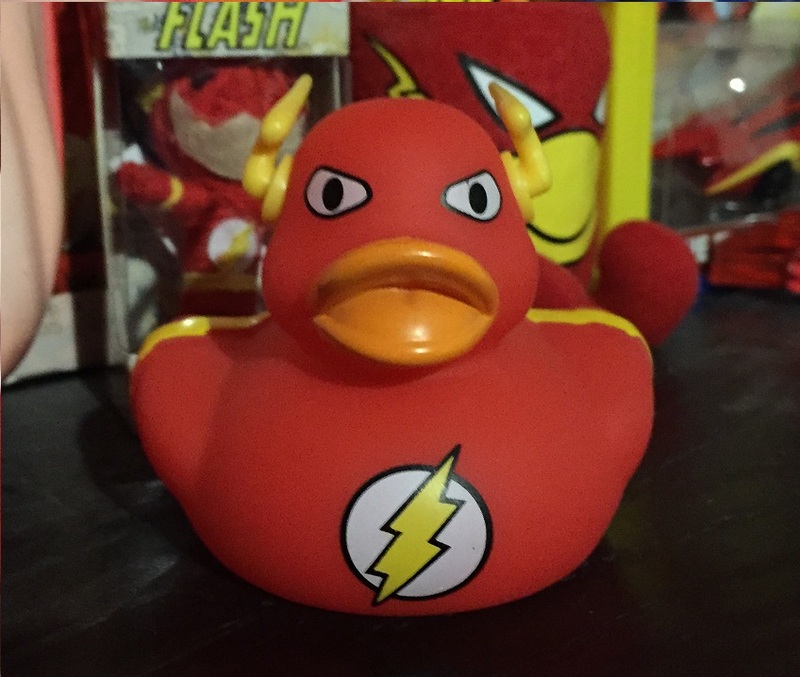 The Mopeez wasn't the only thing I found that day at Walgreens; I also found a Flash Rubber Duck. The really strange thing is I have no idea where it was supposed to be in the store. I looked for the box, I was interested into seeing any packaging and what other characters were in the set. I couldn't find anything and the one duck I did find was sitting on a random shelf that had nothing to do with any other toys. The odd thing about this duck is it isn't one you actually want to take into the bathtub with you. Under the duck are two metal studs. When you press the studs the duck lights up a number of different colors. It might be water safe, but I wasn't willing to give it try. 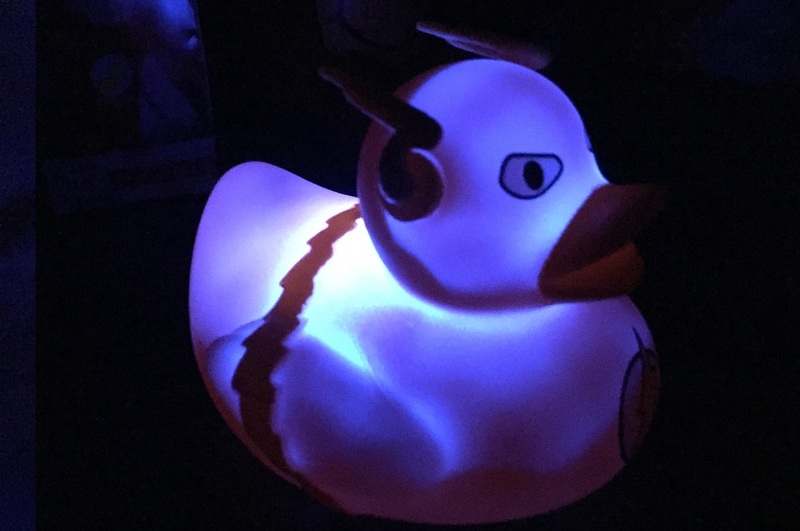 There isn't much you can say about a rubber duck that strobes different colors like a party favor. I have no idea what other characters are in the series. 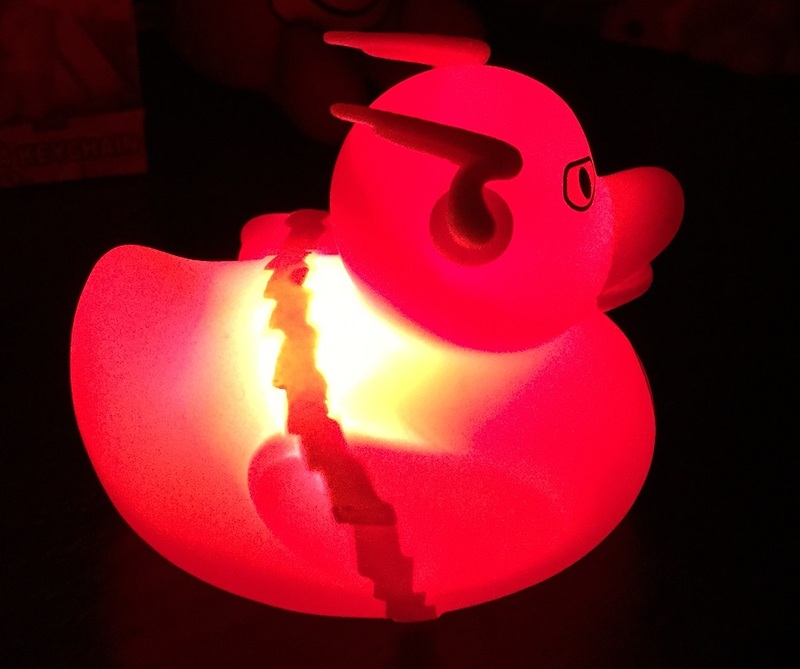 I've seen a few of the ducks on ebay if you want one and don't want to randomly explore your local drug stores.